By the time Zardari took over as president, the Tehrik-i-Nifaz-i-Shariati- Mohammedi (TNSM) had established a parallel Taliban state in parts of Malakand division where it ostensibly practiced Nizam-i-Adl (Order of Justice: essentially Sharia law). Awami National Party’s Senator Afrasiab Khattak told me that his new government was taken aback to find it had inherited an ill-trained, ill-equipped police force that was no match for an increasingly ferocious Taliban militancy, which, in Swat, was headed by Maulana Fazlullah. Toward the end of 2008, a massive suicide bomb attack at the Marriot Hotel in Islamabad had destroyed the myth that parliamentarians, diplomats or even armed personnel were safe. Islamabad grew even more strongly fortified. A wide cordon was thrown around the parliament buildings and cars were investigated at checkpoints set up at every few yards. The besieged political leadership traveled in groups and only to fortified locations. In Swat, residents were too terrified to speak up against the Taliban militants after the group had burnt down hundreds of girls’ schools and beheaded the law enforcement personnel they had kidnapped. While TSNM chief Sufi Mohammed was imprisoned for fighting against the US forces that invaded Afghanistan in 2001, his son-in-law Fazlullah had joined hands with TTP chief Baitullah Mehsud to eliminate hundreds of tribesmen and political opponents in FATA. Fazlullah’s spokesman Muslim Khan told me with aplomb that it had become necessary to behead political opponents and that the practise fell well within the dictates of Islam. Under these circumstances, the Zardari government was relieved when TNSM chief, Sufi Mohammed pledged to follow the pacifist road and confine the enforcement of Shariah law to Malakand division in return for a ceasefire and release of Taliban prisoners. It was ostensibly a throwback to 1994 when Sufi Mohammed and his tribesmen had blocked the Swat Mingora road for one week to demand the enforcement of Sharia. Then, Benazir’s government had buckled into supporting the TSNM chief’s demands for a superficial enforcement of Islamic law. In February 2009, the ANP government signed the controversial Swat peace deal with Sufi Mohammed, pledging to release 300 Taliban prisoners in return for Fazlullah’s promise to disengage from the Tehrik-i-Taliban militancy. But the TTP promise turned out to be an exercise in duplicity. Fazlullah’s militants, already engaged in shady trade activities in Malakand took advantage of the ceasefire to deploy Taliban militants to take over government owned emerald mines in Mingora and spread out in FATA to demand jaziya (tax for non-Muslims). In April 2009 the Taliban advanced to nearby Bunair, where they sealed the civil courts and announced they would be converted to Islamic courts. Sufi Mohammed issued a fatwa against Pakistan’s courts, embarrassing even for the Jamaat-i-Islami, who admitted the Taliban had gone too far. As the Taliban forces rampaged through the Margalla hills, the ousted leader of the opposition and JUI (F) chief Maulana Fazlur Rehman told the National Assembly with the confidence of an insider that the Taliban would soon be knocking on Islamabad’s doors. 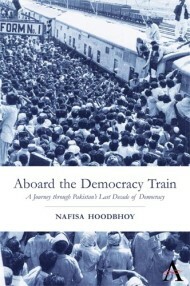 For the incoming Obama administration the situation in Pakistan was a rude awakening to Bush’s failed foreign policy. As Secretary of State Hillary Clinton testified before the House Foreign Affairs Committee on Capitol Hill that Pakistan posed a “mortal threat” to the rest of the world, Congress authorized a flurry of diplomatic activities to Pakistan to convince the new army chief Gen. Asfaque Pervaiz Kiyani, that the Taliban could take over the government in Pakistan. 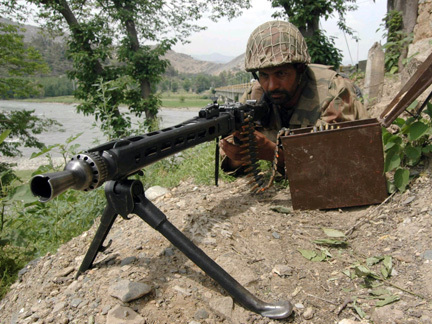 In May 2009, the Pakistan army sent thousands of forces to battle Taliban fighters in Swat. It triggered the largest and swiftest exodus in recent history. As the army imposed curfew and flushed out the Swat militants, the UN set up tented communities in Mardan and Swabi to support over 1.5 million Internally Displaced Persons (IDPs). Still, as the numbers of the displaced grew dramatically over half the IDPs stayed with their relatives – with the generous hospitality provided by locals to Khyber Pakhtunkhwa proving to be the saving grace for the government. This entry was posted in Excerpts, Foreign Affairs, Terrorism. Bookmark the permalink.